The shift to electric cars means rising demand for lithium-ion batteries. But at what cost? To accommodate these different applications, lithium-ion cells vary in size and shape. A single prismatic cell can be used in a battery in a smart phone, while 7104 cylindrical cells (similar to AA batteries, but larger) are wired together to make up the 85 kWh battery pack in a Tesla Model S car. Today, over one billion rechargeable lithium ion battery cells are produced each year for the consumer electronics market alone. And it is our love affair with electronic gadgets that has led to up-scaled production, economies of scale, and a close to threefold decrease in lithium-ion battery cell cost in the past five years from about $400/kWh to $150/kWh. While the sustainability of lithium is often questioned, cobalt is less often discussed. However, since 1991, when Sony commercialised the lithium-ion battery as we know it, the battery industry has depended on this element; a smart phone battery today contains 1 gram of lithium and 8 grams of cobalt. In a lithium-ion cell, cobalt is not found in its elemental form, but rather in millions of small particles of a lithium- and cobalt-containing oxide connected to the “positive” terminal of the cell. These cobalt-containing compounds are at the heart of how well a lithium-ion battery performs. They determine how much lithium can be stored in a given mass and volume, which directly impacts the energy density of the cell. Today’s lithium-ion battery market already uses over 40% of the world’s mined cobalt. However, an electric vehicle requires 10kg of cobalt, 1,000 times more than a battery in a smart phone. 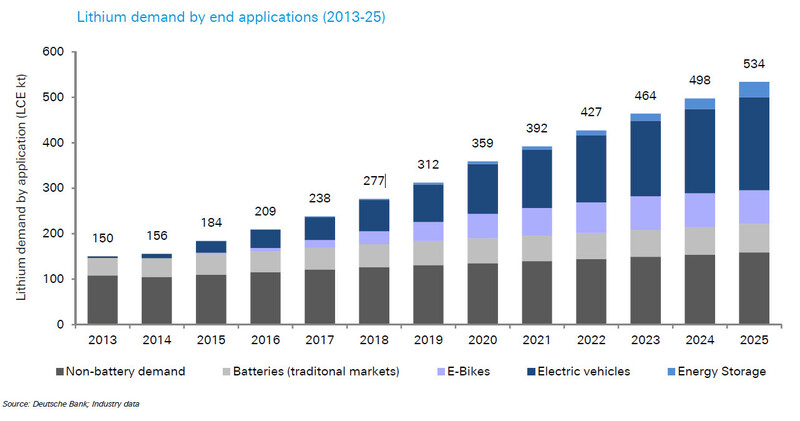 With the ever-more-widespread adoption of electric vehicles and the increasing use of intermittent renewables such as wind and solar energy, the amount of cobalt needed for lithium ion batteries is expected to increase dramatically in the coming years. Most of the world’s cobalt comes from mineral-rich regions in Zambia and the Democratic Republic of Congo (DRC). Two years ago, Amnesty International released a report that raised awareness of child labor in cobalt mines in the DRC. Despite efforts at due diligence, industry experts concede that questionably-sourced cobalt likely finds its way into consumer applications. If cobalt-containing compounds were easy to replace, this would have already been done for economic reasons. Compared to the cost of other transition metals such as nickel (US$15/kg), manganese (US$2/kg), and iron (ore costs less than US$1/kg), cobalt is the most expensive (US$30/kg). However, aside from lithium-iron-phosphate, which is used in many high-power applications, essentially all commercial cathode materials (that is, for the positive terminal side within batteries) contain cobalt. The main impediment to eliminating cobalt from lithium ion batteries is finding a replacement material that still allows a battery cell to operate for thousands of charge-discharge cycles. Completely replacing LCO with lithium-nickel-oxide or lithium-manganese-oxide yields unsafe or unstable cells - but the cobalt atoms in LCO can be partially, and safely, replaced by nickel, manganese, and aluminium atoms. Lithium-nickel-manganese-cobalt-oxides (NMCs), for example, are used today in many cell phones, and lithium-nickel- cobalt-aluminum-oxide (NCA) is used most notably in Tesla cars. These so called “metal-substituted cobalt oxides” are the hot trend in the battery field. Not only do they cut down on the amount of cobalt needed by a factor of between three and five, which leads to cost savings, but putting nickel in place of cobalt boosts the energy density of the active material from about 550 watt hours per kilogram (Wh/kg) to up to 750 Wh/kg. In 2014, 33% of cells used LCO and only 23% of cells used NMC. By 2025, it is expected that less than 20% of cells will use LCO, while more than 40% will use NMC. As we consider how to make lithium-ion battery energy storage more sustainable, recycling seems to be a logical path. In the United States, 99% of lead-acid batteries are collected and recycled. However, recycling of lithium ion batteries is not as straightforward. Due to the diversity of cell types and the broad range of constituent materials – which are sometimes not even specified on a cell's packaging – approaches to recycling lithium-ion batteries are limited and often require manual sorting and handling. Some plants use pyrometallurgy, in which all lithium-ion cells that arrive at the facility are smelted. The alloy of cobalt, nickel, and copper obtained from this melt can then be processed back into the individual metals or the precursors needed for making battery materials, such as cobalt carbonate. Opening up these new mineral resources may relieve industry concerns about cobalt supplies and cost, but it also raises new questions regarding the environmental impact of cobalt mining - and may de-incentivise innovation in materials chemistry and recycling. We need to begin a conversation about the future of lithium ion batteries, and to develop an action plan for how the industry's myriad players – mining companies, material manufacturers, cell manufacturers, equipment manufacturers, the automotive industry, researchers, governments, and consumers – can work together to improve the sustainability of the most ubiquitous energy storage technology.